Hosted by the Sanya Municipal Government, the 1st Sanya International Oceanic Culture Festival was kicked off on 17th Dec 2010. 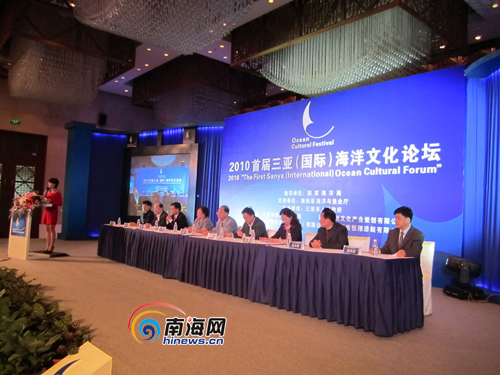 With the theme of “Promoting the oceanic culture, spreading oceanic spirit, developing oceanic economy and creating a blue century”, the festival includes 4 parts, which are Ocean Culture Forum, Ocean Products Exposition, 2010 First Maritime Silk Road International Beauty Pageant, and International Boat Show. Over 200 experts and scholars from home and abroad are invited to attend the Ocean Culture Forum at the opening ceremony. The 1st Sanya International Oceanic Culture Festival will last until 19th December 2010.